Aida is a snuggly and sweet 1-2 year old Bull Terrier we rescued from the shelter. She was so shut down there and just wanted to be loved! 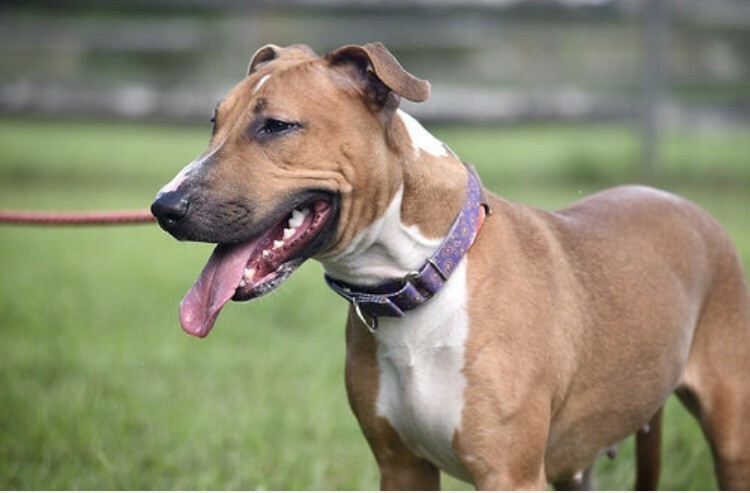 She's a bull terrier that's about 45 lbs and is good with other dogs and kids (no cats). She's spayed, current on vaccines, and microchipped. Please email enb313@gmail.com for an application.